Grand auditorium with a solid spruce top and laminated ribs and bottom made from ovangkol. 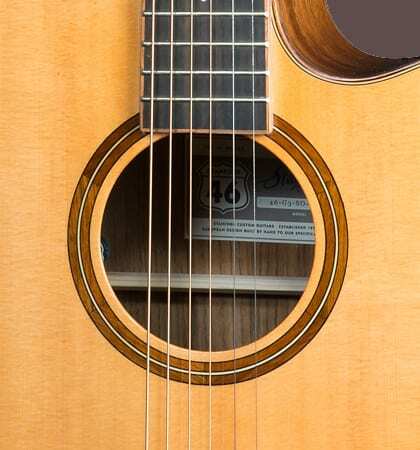 All instruments from the 46 series play very comfortably with their saddle width of 46mm. 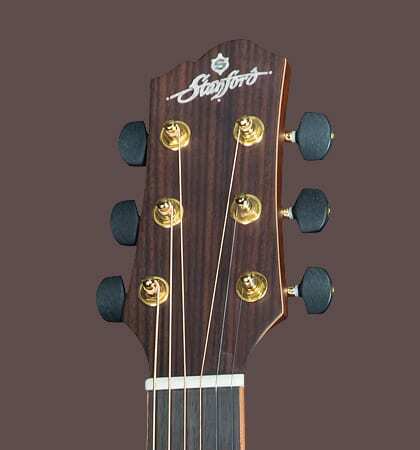 A specifically designed bracing makes the guitar extremely responsive with a wide range of sounds and breathtaking dynamics. 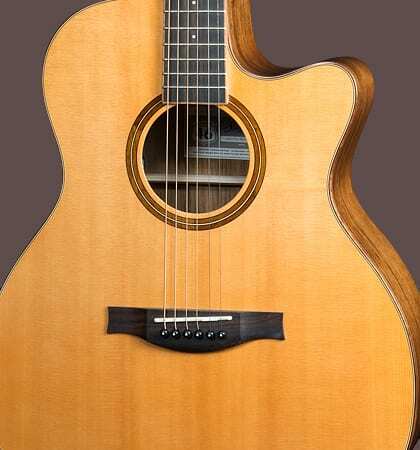 The Venetian cutaway makes playing in any register a pleasure. 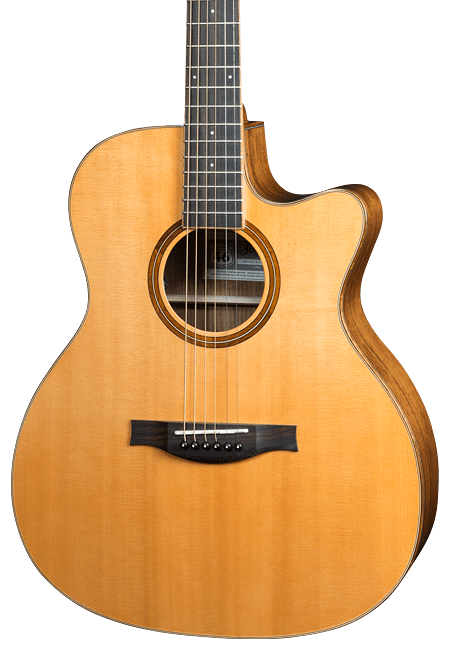 Every Stanford 46 is supplied with a high-end Nautilus Posydon pickup.